Designed to every requirement, our French doors in London and Surrey are an ideal home and office feature which will expertly transform dining areas, living and meeting rooms. Our highly adaptable services allow for customisable modifications, ensuring that our french doors are able to suit the central theme of both, commercial and domestic properties. A popular option for many homeowners, developers and architects, our features remain trendy and admired by most. Adding a touch of smartness and opulence to a house or office, visitors being invited into your premises will be completely shocked by the sheer perfection of your newly-installed innovation. Utilising our profound experience and knowledge, our high security aluminium fixtures are manufactured using toughened and strengthened glass, providing protection and peace of mind, knowing that your assets are kept safe. Highly regarded in the glass solution industry, our team of design specialists ensure that the french doors are installed seamlessly, ensuring no potential danger threats are caused. A vital part of our french door features is the multi-point locking system – this is integrated into our internal and external french doors to ensure your property remains safe at all times. Thoroughly tested and regulating against British Standard safety guidelines, the checks conducted upon our bespoke french doors are quality, in-depth inspections which rightly identify any possible faults which could impact the door’s safety. For customers looking to enhance and increase the amount of space within their home, our made-to-order french doors are a perfect addition. Working towards seamless operation, we have tailored the functionality of our French doors to be simple. Traditional or modern, their bespoke display features successfully complement all property types, so whether you’re more inclined to an established look or perhaps prefer more of a contemporary feel, we confirm that either preference can be met to the highest of standards. 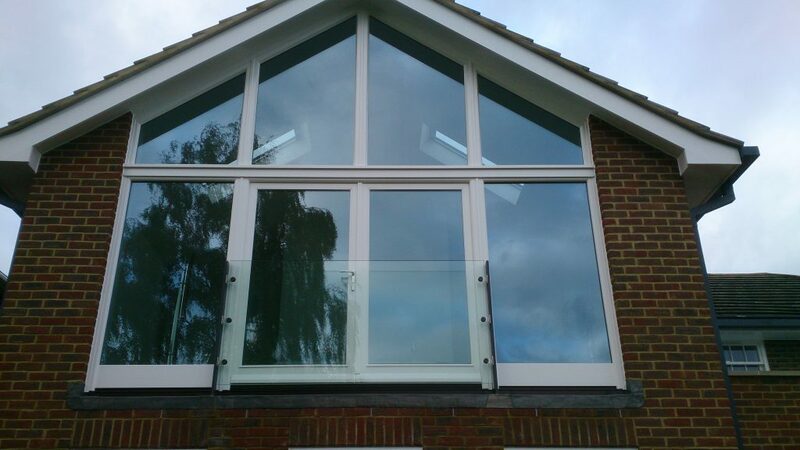 Why Choose Surbiton Glass’s Bespoke French Doors? Surbiton Glass have built themselves a growing reputation over the years. This comes directly as a result of hard-work and determination, developing a client base who have chosen to utilise our services time and time again. Hand-picking a company to create your glass solutions can sometimes become confusing, there are so many businesses offering an overpriced, illegitimate service. We understand that this causes potential customers to be cautious when enlisting assistance. However, with Surbiton Glass you don’t need to worry as our experience allows us to complete jobs to the best of our ability, creating a faultless final vision. When it comes to the installation of our French Doors, it really is simple, and we ensure that clients are made aware of each stage of the process. From the initial consultation to the fitting of our glass solutions, our team are trained to work against strict deadlines, guaranteeing that the job is conducted in a timely, yet proficient manner. The up-keep of our French doors is relatively straight-forward, from hinge maintenance to the cleaning of glass, the course of preservation requires very little time, money and patience. In the unlikely circumstance that any problems occur, contact a member of our team and we’ll be in touch with you for the support you may need. Our experts will aim to see to the issue immediately, ensuring no further concerns develop. Fit Your French Doors Today! If you’re intrigued to discover the greater detail regarding our glass solutions, you’ve come to the right place. Surbiton’s team of expert installers are available day in, day out to professionally fit your newly-purchased products to suit your busy schedule. No matter the difficulty, we are committed to achieving a successful and desired outcome for all clients. With a great deal of experience within the bespoke glass solution industry, our team of specialists are always looking to develop and progress in our chosen profession. If you’re interested in our London and Surrey glass solution services, enquire today on our website or give us a call on 020 8399 4850.